Piranha Chicken: Why Did I Start This Blog? The main reason that I began this blog was that I needed a forum for venting, as The New York Times hasn't yet seen fit to hire me to write Op-Eds. I have registered a few domains and started several blogs on specific interests (knitting, wine, books) and I had been meaning to create a baking blog and a political blog, a vintage blog and a country-living blog, etc. Of course, I realised that maintaining dozens of individual blogs is not feasible so I decided to make a one-stop blog where I could vent about anything, where nothing would be off-topic. 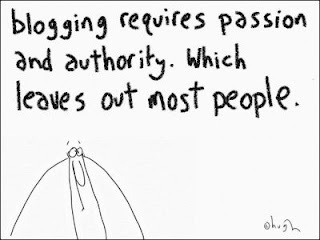 I so often see comments on other blogs where readers complain that they came to the blog for knitting or yoga or recipes, not to hear the blogger's views on politics or their rant about their boss. So, I wanted a catch-all blog, where I could be myself and vent about whatever was making my blood boil that day. 1) A way for friends and family not on Facebook to keep up with what is going on in my life. I post updates and pictures, humour and political news, and educational tidbits on Facebook every day, but most of my friends and family scorn Facebook so they don't see this stuff. I spend so much time posting on Facebook that I can't be bothered to send the same info in individual emails. This blog partially solves that problem and should ameliorate some of the guilt I feel for not writing to friends and family more often. 2) A way for people who know me in only one sphere to learn more about me. I have many acquaintances in the horse world, the dog rescue world, the vintage world, the knitting world, from past jobs, etc., that only know me as an equestrian or animal rescuer or knitter or office drone. They have no clue about my politics. They may know that Friesian horses are my favourite breed but they have no clue that I am a militant atheist or that I am opposed to genital mutilation, and there is no way to casually bring that up. By reading my blog, people who see only one facet of me can get to know me more fully. 3) A way to start writing again. I have been too depressed, anxious, and OCD in recent years to do much writing. The blog is a no-pressure way to discipline myself to write every day again. 4) A way to build up writing samples. Since I am trying to make my living as a freelance writer and editor, I need some writing samples to send to potential employers. Obviously, I have to be very careful what I would choose from this blog, which is deliberately anonymous so potential employers can't reject me on the basis of my political, religious, or any other views, but there will eventually be a stash of posts that could serve as writing samples. 5) A way to educate people. I am generally of the view that people who do not agree with me are ignorant and not in possession of all the facts. As I often say, you can have your own opinion but you cannot have your own facts. I believe that people in possession of the same facts would not hold such widely divergent opinions. For example, no-one who knows the accurate history of the creation of the world's religions could believe in any of them and no-one who knows the facts about genital mutilation could condone it. One of my many purposes with this blog is to educate the ignorant; I am a natural-born teacher and love teaching. 6) A way to build new expertise of my own. By writing about baking or sheep farming or the ramifications of the Affordable Care Act, I have to learn more about each subject myself, so it provides a more focused way to do research on topics that interest me. 7) A way to build material to spin-off future subject blogs. I do not have time to maintain separate blogs for each of my many diverse interests but, eventually, I should build up enough posts on individual topics, such as baking, that I will be able to give them a blog of their own and, more importantly, interest potential employers in having me write as an expert on the topic for their website or even garner a book contract. 8) A way to earn a living. If this blog attracts enough readers, I should be able to earn money from it somehow. I am not sure how, as I am not, at this point, willing to host ads. But there are well-known political bloggers who earn a living both from their own blogs and from being invited to write and speak as experts on various topics. I do not have a concrete plan but I see this blog as the first step in making my living as a writer.